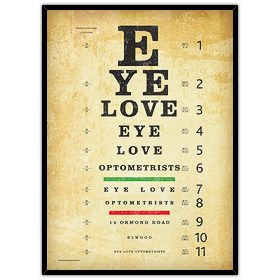 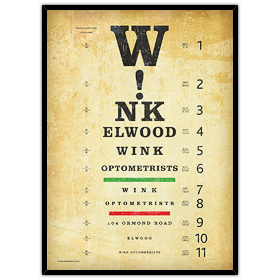 Not only a great way to brand your optometry store...this Snellen eye chart will have a fun and meaningful purpose! 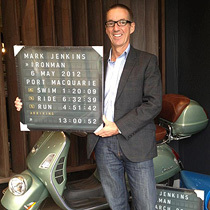 Add your business name, suburb or even all the services you offer. 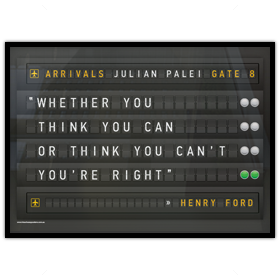 Many of these have been created as larger installations on stretched canvases. 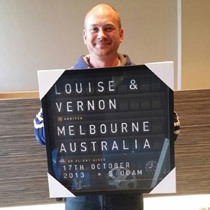 Call Dean or Emma to discuss canvas or framing options.